The MPN Poker Tour (MPNPT) today announces its first stop in Dublin in collaboration with Gaming Association, a coalition of Irish poker promoters. The festival will run from September 2nd – 6th 2015, and its headline event, the MPNPT Irish Poker Cup, will feature a guaranteed prize pool of €250,000! Speaking for Gaming Association, Fintan Gavin commented: "It’s my privilege to assist in the promotion of the most exciting poker festival to hit this region in years." Online satellites to the Dublin Main Event will kick off in late May, after the MPNPT’s biggest festival in Tbilisi, Georgia gets underway. Every €1,500 package includes entry to the MPNPT Irish Poker Cup and €120 Monster Stack event, plus accommodation for four nights, a welcome drinks party and money towards travel and expenses. "As a former Dublin resident, I know that Irish players love the game just as much as we do, and I’m excited to see the MPN Poker Tour visit the capital for the first time," said Alex Scott, Head of Poker at Microgaming. “With a prize pool as big as the spike, more action than a night in Coppers, and craic as mighty as the beer is pricey, what more could you ask for in a weekend away?" The MPN Poker Tour was founded in May 2014, and has grown from a small festival in London to a major international poker series in just one year. Microgaming confirms its Mega Moolah progressive slot has been hit at a mountainous €5,375,695.08! The life-changing jackpot was won on 9th April 2015 by Royal Vegas player, Mark A, spinning on his mobile phone. The player will take home a total of €5,375,695.08, receiving a single cash payout in full rather than an annuity, so Mark A has become an instant millionaire. John Quinn, Head of Casino at Microgaming, comments: "We’ve been watching the progressive ticker grow substantially over the last few weeks; anticipation was building as to when it was going to strike! Once again the jackpot was hit via a mobile device; it really is a sign of today’s industry and how prevalent mobile is! Congratulations to Mark A on becoming one of the biggest jackpot winners in Microgaming’s history." Spokesperson for Royal Vegas, adds: "Mark A had only been a player with us for 7 days; I don’t think you could ask for a better start to playing at Royal Vegas! One of our senior VIP executive hosts had the pleasure of phoning Mark to confirm the win and to congratulate him; to say he was elated is an understatement. Everyone here at Royal Vegas would like to congratulate Mark on this mammoth and historic win." Microgaming’s progressive jackpot network is the largest in the industry; to date it has paid out over €487 million. 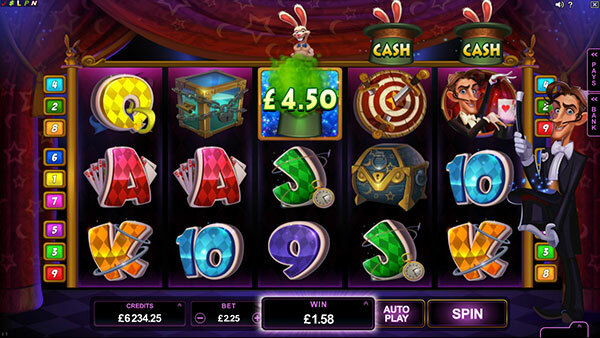 Microgaming is set to release its Rabbit in the Hat online slot in April. Rabbit in the Hat is a 5×3 reel, nine line game with a magical theme, featuring bright and bold graphics and plenty of entertaining features. The base game springs to life when a colourful magic hat appears at random on reel five; the stage is then set for wondrous wins. During each subsequent spin, the magic hat will bounce one reel to the left. If a wild lands on the reel below a hat, a prize is awarded. Prizes comprise a wild hat (turning up to three reels wild), cash hat (awarding a random cash prize), free spins hat (delivering 10 free spins) and a mystery hat (awarding any one of the three hat prizes at random). In addition, during the free spins feature, hats will appear above every reel, offering massive reward potential. On each free spin, a new hat will land above reel five, moving the hats along the reels to the left. Again, whenever a wild lands on a reel above a hat, a prize will appear like magic. Players can retrigger up to 50 free spins, with wins of up to 90,000 coins! Mike Hebden, Head of Casino Games at Microgaming, comments: "Rabbit in the Hat is a fast-paced game with a host of appealing features, including a new style free spins feature. It’s an exciting addition to our ever-growing portfolio of casino games, which now exceeds 800." Rabbit in the Hat launches to Microgaming and Quickfire operators on the flash and download platforms on 8th April 2015. Rabcat’s premium five-reel video slot Dragon’s Myth™ will also launch to Microgaming operators on the same day. And there’s several new mobile games launching in April: Boogie Monsters, Harveys and Rhyming Reels Georgie Porgie. Players at certain online gambling websites licensed by the UK Gambling Commission now have a useful facility in the event of a dispute with an operator which they have been unable to resolve for themselves – a free dispute resolution service operated by the London-based independent standards organisation and testing agency eCOGRA. The free dispute resolution service, which is accessed online through the www.ecogra.org website, is headed by Tex Rees, a Clear ADR Accredited Civil and Commercial Mediator who since 2003 has been involved in the resolution of more than 8,000 disputes involving players at eCOGRA’s Safe and Fair accredited seal-holder sites. 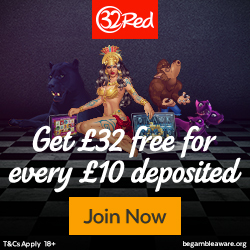 eCOGRA chief executive Andrew Beveridge revealed this week that 355 UKGC licensed sites have already elected to use his company’s ADR service, including leading operators such as 32Red, 888, bet-at-home, BetClic Everest, Betway, bwin.party, Casino Rewards, Paf and Unibet. "eCOGRA has developed a sophisticated software system to help manage and expedite the resolution of disputes with UKGC-licensed operators, and this, harnessed with the eCOGRA ADR team’s considerable experience in online gambling mediation, will help resolve most disputes within 72 hours," Beveridge said. "We’ve included ADR in our service offering as we know how important it is to players to have an impartial mediator handling their issues with operators. From an operator perspective it is equally important that our clients can come to us for a full suite of services involving independent third parties as required by UKGC regulations." eCOGRA has been awarded the United Kingdom Accreditation Service’s (UKAS) ISO accreditation ISO/IEC 17025:2005 : General Requirements for the competence of testing and calibration laboratories, for the United Kingdom and Denmark. Adjarabet has completed a full migration of its poker offering to the Microgaming platform; they are the first operator to use the revolutionary Babelfish API. The project, a joint effort with Georgian development house Singular, involved Adjarabet building their own custom poker software. Using Microgaming’s Babelfish API, this software is ‘plugged in’ to Microgaming’s servers, giving Adjarabet a completely tailored, unique poker client with none of the hassle or cost of server-side development and hosting. Adjarabet was founded in 1998 and has firmly established itself as the Georgian market leader in poker, casino, sports betting and skill games. The company made waves in 2013, when it was revealed that the Georgia-regulated operator was one of the world’s biggest standalone poker sites. In 2014, following a promotion giving away over 500,000 Georgian Lari, it was the third-largest poker room in the world. "Adjarabet has generated a lot of interest in the last couple of years and naturally I am thrilled that they have chosen Microgaming and our Babelfish technology to take their poker platform to the next level," comments Alex Scott, Head of Poker at Microgaming. "It has been a pleasure working with Singular and Adjarabet to do something that has never been done before in poker, and I’m very excited to see how we can grow poker together over the coming years." Adjarabet’s custom-designed software is available in both download and instant-play versions, with mobile coming soon. Adjarabet’s players will continue to play at tables in Georgian Lari, but because their software is running on the MPN systems, they can add network liquidity to their offering at any time with the flip of a switch. "We were looking for a partner to help us grow and improve our poker offering; when Microgaming presented Babelfish we knew it was exactly what we needed," comments Alastair Ives, Head of Poker at Adjarabet. "The Babelfish API allows us to offer a product that is completely tailored to our customer base, eliminating the pain of migrating to a new software provider. We are very happy with how the process has been handled and with the results of the migration so far." With Adjarabet live, Microgaming can also reveal that the MPN Poker Tour’s planned stop in Tbilisi, Georgia, will be run in conjunction with Adjarabet. Held at the Tbilisi Sports Palace from the 28th to 31st May 2015, the event will offer players a substantial guaranteed prize pool for a minimal $550 buy-in. The launch of Adjarabet comes at an exciting time for Microgaming poker, with several other new operator signings to be announced in the coming months, and major changes to the poker software also on the way.